TVS (Total Vehicle Suspension) System Big Block 1970-1981 Camaro 1970-1973 Firebird. The Hotchkis TVS is a all inclusive kit that has been designed and tested as a system. No need to mix and match components. 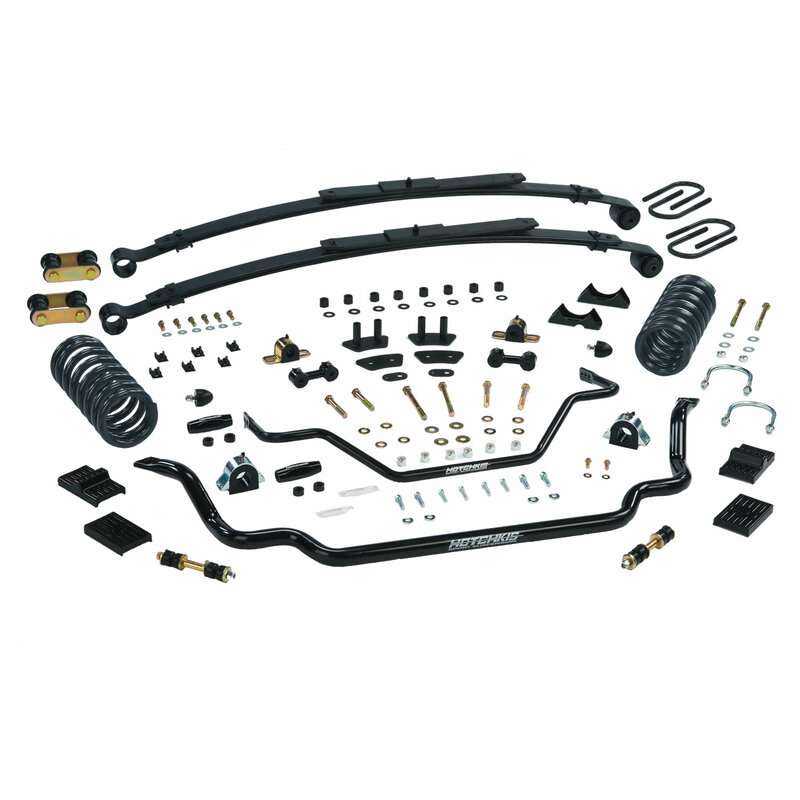 The TVS system includes Sport Coils Sport Sway Bars Heavy Duty Tie Rod Sleeves and Sport Leaf Springs. Part #'s Included 1612 1909F 2236 2408C. Applications: 1970-1981 Camaro BB 1970-1973 Firebird 74-81 Firebird use #80033. Note: This kit lowers the vehicle an avg of 2 in. (F) and 1.5 in. (R) from orig factory ride height.